Welcome to Whimsy Wednesday!! Whimsy Wednesday is a link party for bloggers (one of theeeee best, I might add!). What is a link party? It is a place for bloggers to share their latest blog posts. They can be recipes, crafts, DIY projects, life moments, blogging tips, and so much more. Not a blogger? Well then this is like a pinning paradise! Find the newest and neatest pins to share on your Pinterest boards. My very favorite post from last week was from This Beautiful Flower Straw Topper. Roses are my absolutely favorite! I think this post by Made to Be Momma is just fabulous! 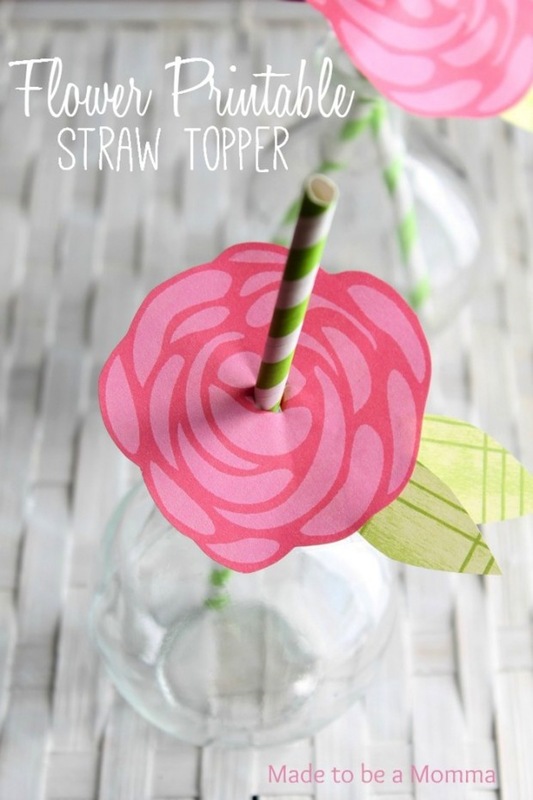 Would you like to print out your own FREE flower straw toppers? Simply CLICK HERE FOR THE STRAW TOPPERS! Thank you so much for hosting, Kelly! 🙂 Have a wonderful week! Happy Wednesday, ladies! Thanks for another wonderful party! Thank you so much for hosting and a big thank you for your kind words about my post. It was a fun post to write and I often refer back to it as a reminder to get my two girls involved in our upkeep of our home. Have a wonderful weekend. Just realized you featured these! Thanks so much!